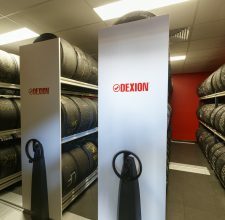 Leading global storage solutions company, Dexion, has announced the launch of its latest high-density pallet storage system, the Dexion Auto Shuttle, in Australia. 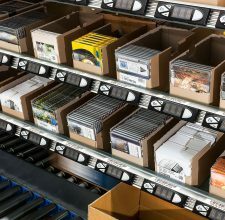 The Dexion Auto Shuttle system offers high-density pallet storage without the need for forklifts to drive into the racking system and provides an effective and reliable solution for those looking to make the most of limited space. The Auto Shuttle solution provides significant productivity and storage advantages compared to typical ‘block stack and ‘drive in’ storage applications. A safer way to manage high-density pallet storage, the Dexion Auto Shuttle travels below the pallet, then elevates the pallet from the support rails and carries it back and forth within the system as required. The Dexion Auto Shuttle uses patented mechanical lifting motions and has no hydraulics and few moving parts, ensuring low noise, high reliability, and low energy consumption. It comes in a high-end eight wheel design with a lithium ion battery and a lifting capacity of 2,000 kilograms and an entry level four wheel design with a lead acid battery and a 1,500 kilogram lifting capacity. Speaking of its features, Stuart Macnab, Regional General Manager Australia & Hong Kong, says the eight-wheel shuttle is particularly reliable in cold spaces with an operating temperature down to -30Â°C and thus perfectly tailored to industries that require ongoing refrigeration. “A number of our customers in the food, medical, and wine industries are excited about this product because of its high-density options across their supply chain. While the system certainly isn’t limited to cold storage, it presents several options for growth in the market. “Other than being a cost effective way to manage product from a workplace safety point of view, the Dexion Auto Shuttle also minimises the risks that can come from driving forklifts into racking, which is a win for both employees and employers. 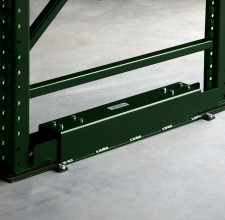 With forklifts no longer entering the racks, the Dexion Auto Shuttle also helps guarantee the longevity of the racks and products as well,” says Macnab. “In an industry where space is money, the Auto Shuttle helps customers make their existing warehouse work harder. It’s incredibly simple to use and comes with a Dexion guarantee,” he adds. Macnab adds, “Dexion is in the business of long-term customer partnerships and we know this product will meet the needs of those looking to maximise their warehouse space and efficiency. “Our goal is to always create the right solution for the job. Drawing on our 70-year heritage of innovation and creativity, we provide customers with options that meet all levels of storage and material handling needs.